VisualArt’s has released the full single for “Little Busters!”, the opening theme for the original version of the game of the same name, on Steam as DLC for Little Busters! English Edition. The single is currently available for free, but after a week passes it will no longer be free. 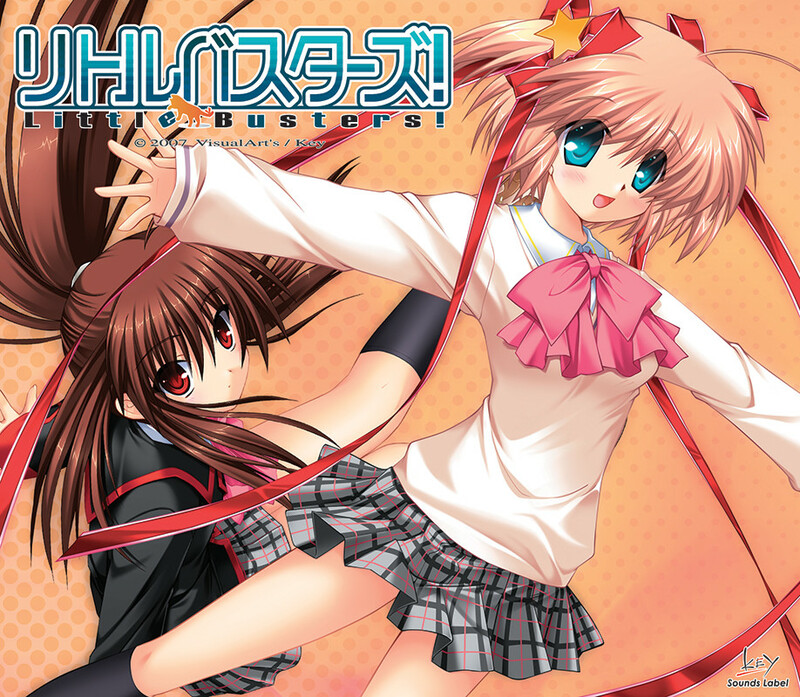 The single, originally released by Key Sounds Label in 2007, contains six tracks: original opening “Little Busters!”, insert theme “Haruka Kanata” (sometimes translated as “Faraway”), Komari and Haruka’s ending theme “Alicemagic”, and off-vocal versions of those three songs. It includes all tracks in both MP3 and FLAC formats, plus the CD jacket with the cover art and song lyrics, albeit in Japanese. The single was released as a celebration of the original game’s 10th anniversary, and seemingly as an apology for the technical issues that Little Busters! English Edition experienced at launch (which have since been patched). Full information can be found in the announcement in the Steam Community for the game.